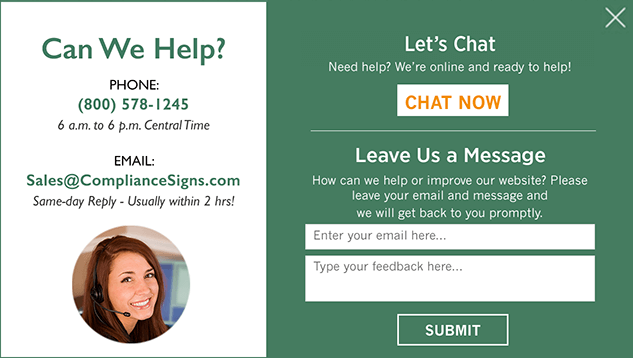 Order online today for fastest service, or contact us at 800-578-1245 or sales@compliancesigns.com. Don't see the sign you need? Click here to create a custom sign or contact us to discuss your needs. California has adopted a new workplace safety and health regulation to prevent and reduce work-related injuries to housekeepers in the hotel and hospitality industry. This is the first ergonomic standard in the nation written specifically to protect hotel housekeepers. The new standard, which will be enforced by Cal/OSHA, was approved March 9 by the Office of Administrative Law and will become effective July 1, 2018. The new regulation requires hotel and lodging industry employers to establish, implement and maintain an effective Musculoskeletal Injury Prevention Program (MIPP). Hotel housekeepers frequently suffer musculoskeletal injuries from lifting mattresses, pulling linens, pushing heavy carts and slipping, tripping or falling while cleaning bathrooms. Read more at our Connection workplace safety blog. Copyright 2005-2018 ComplianceSigns, Inc. All Rights Reserved.